Update: It’s back up and running! 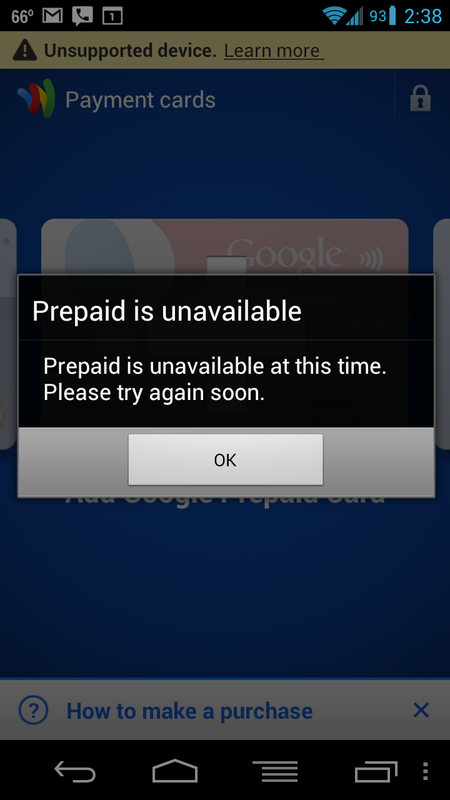 We were getting many reports from Twitter this morning that Google Wallet was down. Pre-paid and Citi cards seem unavailable at the moment for a large group of people so you don’t need to worry that it’s just you and you can rest easy knowing that there is nothing wrong with your secure element. One reader called tech support to see what was up and all he got was a confirmation that the app was indeed down, no word on why. He was also not given a time frame to expect it to be back up by, so when we hear any different we will let you know.